Millions of people use WhatsApp to send pictures, messages, and other confidential information to friends and family members around the world. The amount of people who use WhatsApp suggests that many people find it safe, or safe enough. But what else should you know about WhatsApp security? Are the photos you share on WhatsApp safe, for example? 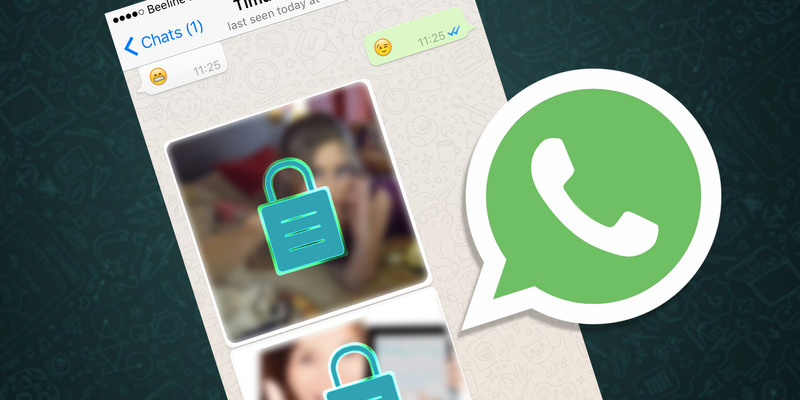 In this article, we discuss everything you need to know about WhatsApp security. First things first, let’s discuss the term safe. Since safe is such an ambiguous term and means something entirely different to different people, we’re going to assume from now on that safe means protected, in that your pictures, messages, and other information are not easily accessible from a third-party observer, whether that’s someone in the next room or a hacker lurking out of sight. So, with the definition set, let’s discuss whether WhatsApp is safe. Again, meaning that your information is secure from prying eyes. WhatsApp says it continually protects your data and content against would-be prying eyes and hackers. The company states on its website that it uses safeguards to preserve the security of your personal information. It also promises that messages sent over WhatsApp are encrypted, which means any information you send is reverted to code to prevent against unauthorized access. This is key. Even with good encryption, a hacker would be hard-pressed to obtain your data. WhatsApp also recommends not using unprotected Wi-Fi or other networks to send messages, as doing so could result in third-party hackers obtaining your information. This is also a key point and one that users should be aware of, as most hacking is done through third-party applications. WhatsApp states that it cannot guarantee against any such breach if one were to occur, but that it will notify the recipient if an event does happen. These are necessary legalities for such an expansive application. Further still, and this is also very important, WhatsApp claims it does not store any messages—including your photos—on its servers. It only does so until your message is sent to the receiving phone. If the recipient of the message doesn’t receive the message after 30 days, the message will get deleted. What Is There to Worry About on WhatsApp? Even though WhatsApp is always working towards improving online security, keep in mind that hacks do happen. Hackers who want to pry on your information and steal your photos can and will find ways, and they mostly do so when you’re using insecure networks, like airport Wi-Fi. Leaks can also happen after your message is sent. If the recipient of your photo carelessly leaves their phone open to be seen by others, your photo can be viewed and shared. There’s nothing you can do about WhatsApp’s network. If it says the network is secure, you’ll just have to take WhatsApp’s word for it. You can, however, protect your WhatsApp photos by doing a few simple things. First, use networks you’re familiar with or a VPN server when you’re not sure. ExpressVPN is one of the most secure and reliable VPNs out there. Lock your phone. Don’t make it easy for would-be hackers. Keep your phone locked and away from prying eyes. Avoid scams. If you get a message that seems fishy, don’t click on anything or reply. WhatsApp says it will never contact you, so don’t follow any links offering anything free. Avoid these messages completely. Keep your profile hidden. Google’s reverse image search is a nifty tool for anyone wanting to find more information about a photo. If that photo is a picture of you, anyone wanting to find out where your profile picture has been used before can do so easily. And they could then find out more information about you. So, keep your profile hidden and no one can reverse image search your profile picture. Last but not least, block your WhatsApp photos from appearing on your phone’s photo albums. WhatsApp gives you the option of storing photos sent and received on the app to your phone. If you send a discreet photo while having this option turned on, that same discreet photo will show up on your phone’s photo album and could be more easily accessible. You can turn off this feature in the WhatsApp app. To do this on Android, open the app and go to the main window with all your chats. Then tap the three vertical dots on the top right to go to Settings. Now tap Data and Storage Usage. Under Media auto-download you’ll find three options: when using cellular data, when connected on Wi-Fi and when roaming. Tap each one to disable auto-downloads. On iOS, you also have an option to turn off media auto-download in the app’s Settings menu. Open WhatsApp and go to Settings. Then tap on Data and Storage Usage. Choose Media auto-download from the menu. Select the Never option for photos, audio, videos, and documents. Doing so should prevent your shared photos and other files on WhatsApp from being saved to the phone’s photo stream. Put simply, WhatsApp can be easily susceptible when used over insecure Wi-Fi or other networks. Your photos, phone numbers, and other information can be made easily available for hackers who want your data. Nothing is truly 100 percent secure. If someone wants to obtain your photos and information, they can most likely acquire it because of something you’ve done, and not via WhatsApp’s own network. But there are measures out there that you can take to be as secure as possible. Be smart about who you send photos to. Be smarter about what types of photos you send. And be sure to follow these simple tips to stay safe online. Read the full article: How Safe Are My Photos on WhatsApp?